Mr Alaia wasn’t interested. Flattered, but not about to pursue. The story of what happened with John was a sad story, he said when I asked him, and he didn’t want to be part of the next chapter. And that’s even before you got to the other stuff. The sheer fact that the Dior leadership was thinking this way does, however, make me think the field may be more open than the fashion world suspects. Mr Alaia has been perhaps the most vocal advocate of all living designers about the need to change the fashion system, to slow it down, to stop the relentless demand for more collections and more store openings. Years ago he stopped having official fashion shows, and started showing, and delivering to stores, only when he was ready as opposed to when the schedule dictates. And one of the houses that most embodies that continuous pressure is Dior; indeed, when former designer John Galliano imploded, the pressures of the system were cited as major contributing factors. 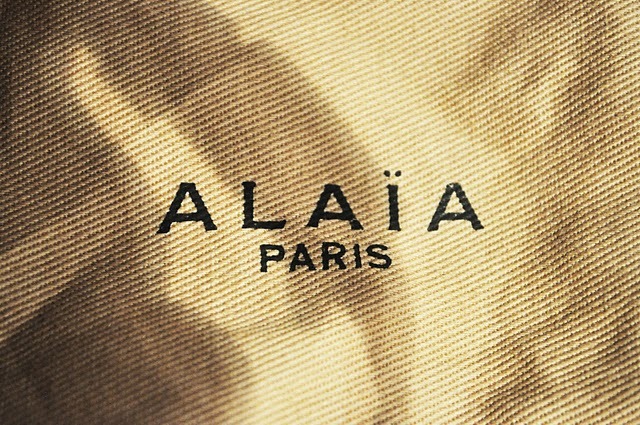 Also, Alaïa has a pretty sweet deal with his namesake label, now partially owned by Richemont. "They leave me alone," he said. Bernard Arnault, CEO of LVMH, which owns Dior, would go into Galliano's showroom and interrogate him about each piece of clothing, tell him he doesn't want to see certain handbags in stores, and make suggestions about the ad campaign. So it's a stressy life, but you knew that.